So my first Internationally Natural post focused on Trinidad. And my post yesterday also focused on Trinidad. Yesterday’s post was all about the best places to shop and best Trini beauty and hair products. And today we’ll take a closer look at one of my favorite Trinidadian natural hair brands that was mentioned in that post, Happy Curls, Happy Girls. 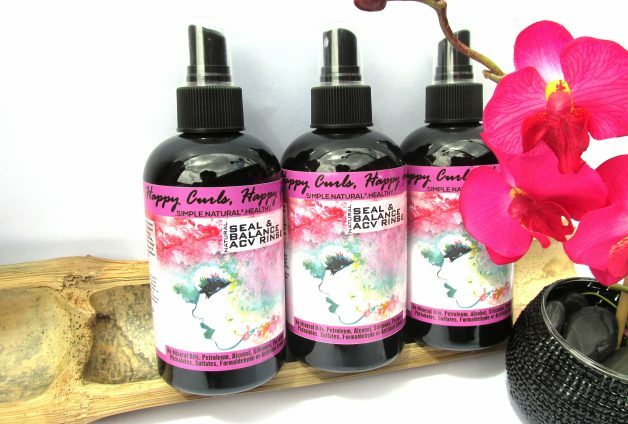 These natural, handmade hair products are definitely making my hair happy! HCHG is the creation of De’Lisle, a fellow Trini and Hilarian (meaning, we both went to Bishop Anstey High School). 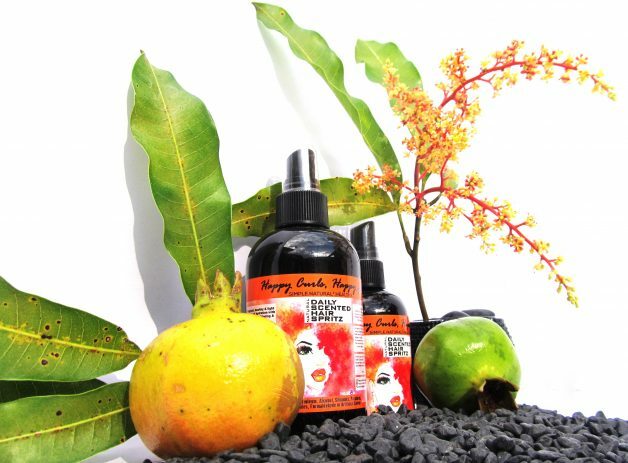 Her name translates to “of the island” and her products are made incorporating tropical ingredients and considering the climate we’re from. HCHG is the first Trini artisan line to be sold in Pennywise (the foremost beauty and cosmetics chain throughout the island). Their products provide moisture, nourishment and hold. My personal favorites are her Coconut Milk Deep Conditioner and bomb moisturizing shampoo, her ACV hair spritz, and super cute wire headbands. 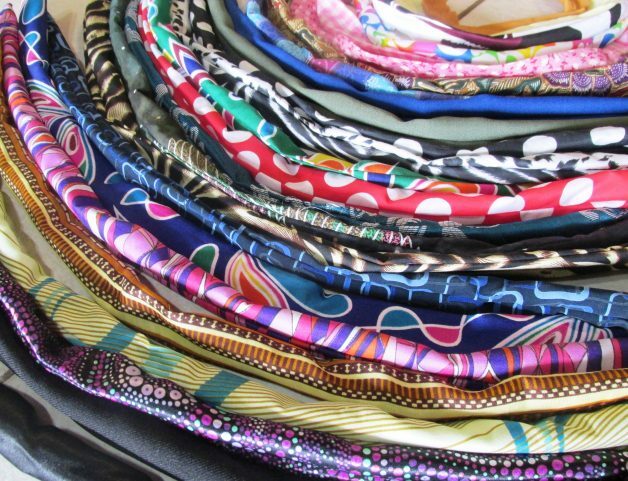 Being the creator of a brand on the rise that is based and made in Trinidad has its challenges. It can be incredibly difficult to mail out cosmetics or hair products made in Trinidad due to the shortcomings of local couriers who refuse to ship out liquids, creams and powders. De’Lisle uses international providers at personal expense, to get her products to the customers who love them. I caught up with De’Lisle to gain some perspective on what it takes to create a natural hair business with international popularity from a home base in the Caribbean. What top tips does she have for Caribbean product makers? De’Lisle offered some seriously intelligent advice. “I’m still learning myself, but I think these principles apply to any entrepreneur especially coming from a lesser developed economy. 1) Be honest. Whether your product is high end or budget: give your customers value. Don’t make promises your products can’t keep, don’t exaggerate what they can do. If you say it’s 100% organic, then let it be 100% organic not 95%, not 99%. As a small business your word is all you have and if your customers can’t trust that you have their interests at heart, there is no reason for them to take a chance on you… after that your product will speak for itself. 2) Know the dream. If everything were perfect, you had all the resources in the world and there were no barriers to trade, where would your business/product be, who would be using it? Every store corner in your country, region or Sephora, Walmart, Neiman Marcus? Plan a path there and start to work towards it as much as your resources allow from day one. Little decisions like the look of your line, the pop up markets you do, the pics you post, everything counts. You never know what opportunity might present itself, so always be ready with your best offering. 3) Listen and learn. A great entrepreneurial myth is that because you’re good at what you do, you’ll be great at running a business doing it. That’s not always the case, so keep learning: find people who know about accounts, pricing, marketing, whatever and listen to their suggestions for your biz. Customer feedback-good or bad will teach you; observe the things the corporate giants in your field do. In this new economy, many of us may not be formally trained in our field of passion, my original major was Management Studies, with a Psychology minor! Training and learning are critical. Thank you for the entrepreneurial insight, De’Lisle! I really love her brand and hope she finds a distributor in the diaspora soon so she can take her vision to the next level! 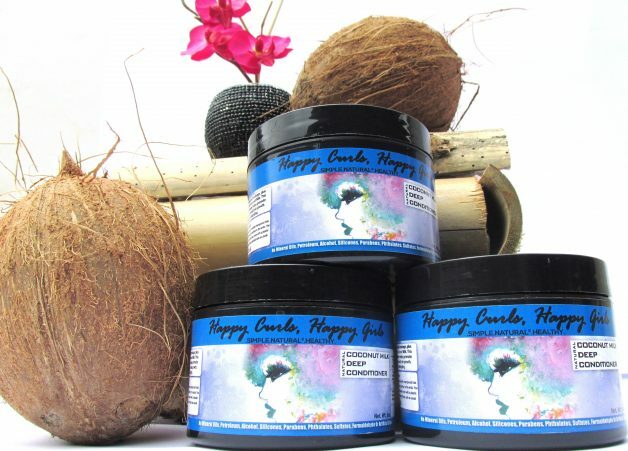 To find out more or to try Happy Curls Happy Girls yourself, visit www.happycurlshappygirls.com, or click here to get happy on Facebook or Instagram! Internationally Natural is a series meant to celebrate international naturals around the world, telling their stories in their words to gain an understanding of the natural hair scene in another country. To submit your internationally natural story, e mail bella@afrobella.com and use Internationally Natural in your subject line. Wow, super enlightening and inspiring! Happy that you spread the word on other entrepreneurs especially female ones.